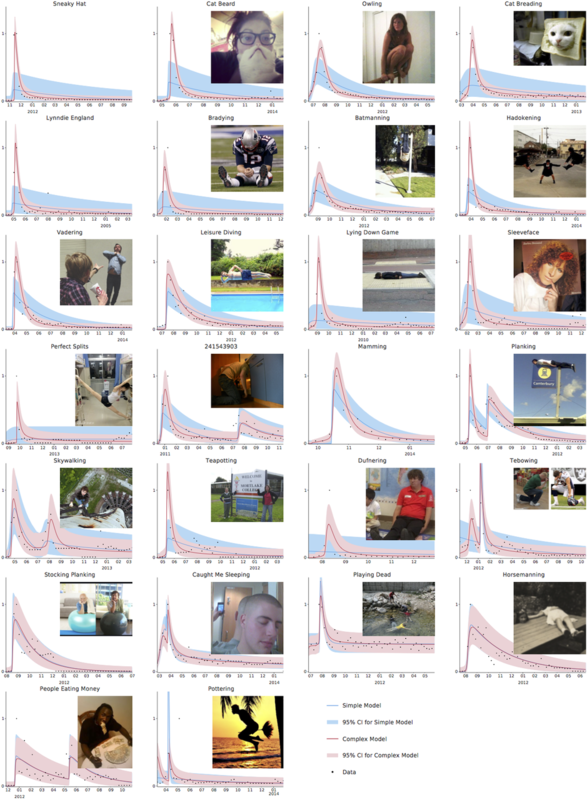 Models of epidemics can be adapted to consider the spread of internet Memes - for more information see the University Press Release. Below is a figure showing some of these Memes 'in the wild'! We hope that the work will be possible to extend to more substantial health-related behaviours, but Memes provide a relatively pure signal of the kind of social influence that must be accounted for in such contexts, and as such are a good way to develop methods.